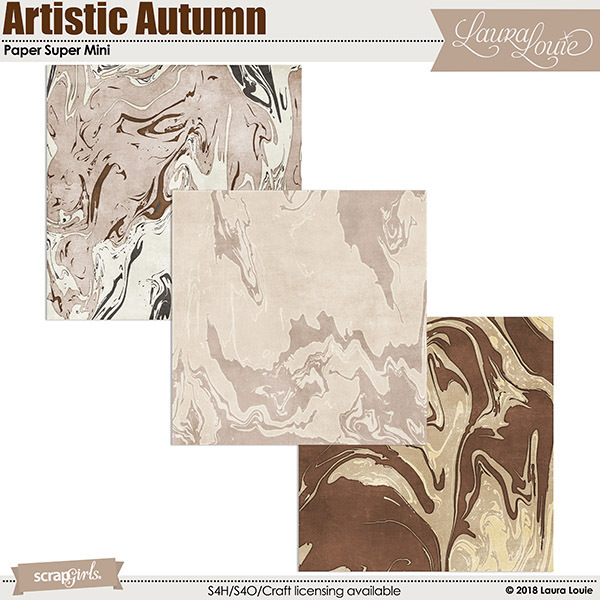 Add the beauty of painted swirls and whirls with the Artistic Autumn Paper Super Mini! 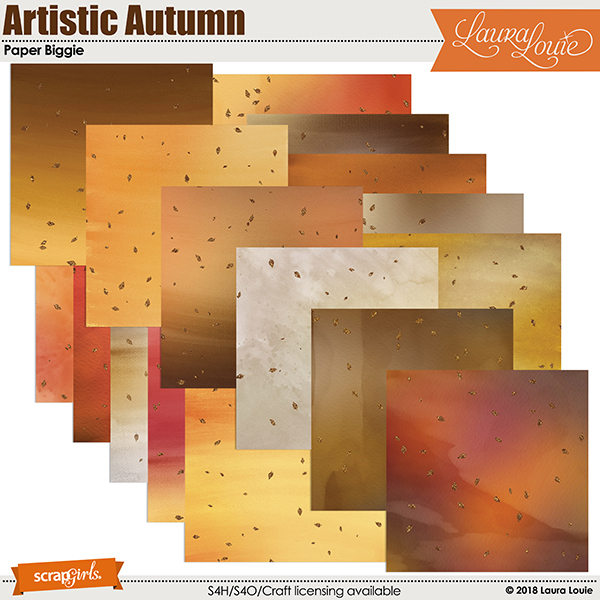 The Artistic Autumn Paper Super Mini contains three 12"x12 papers in JPG format. 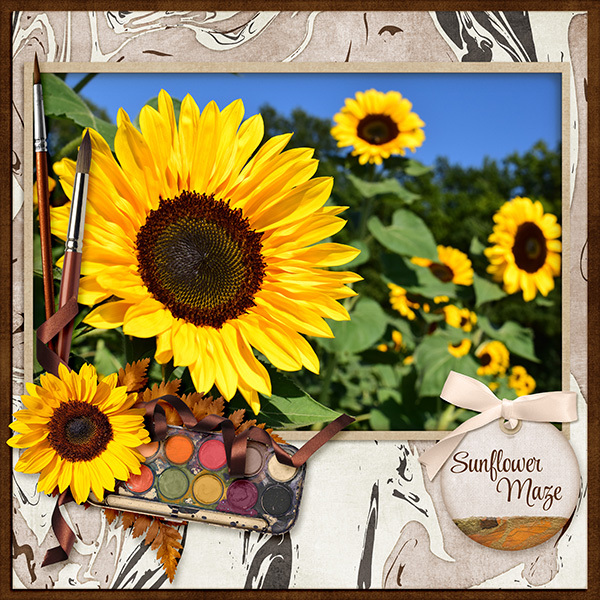 Use them alone to create unique backdrops for your layouts, or mix them with other Artistic Autumn papers for more design options! 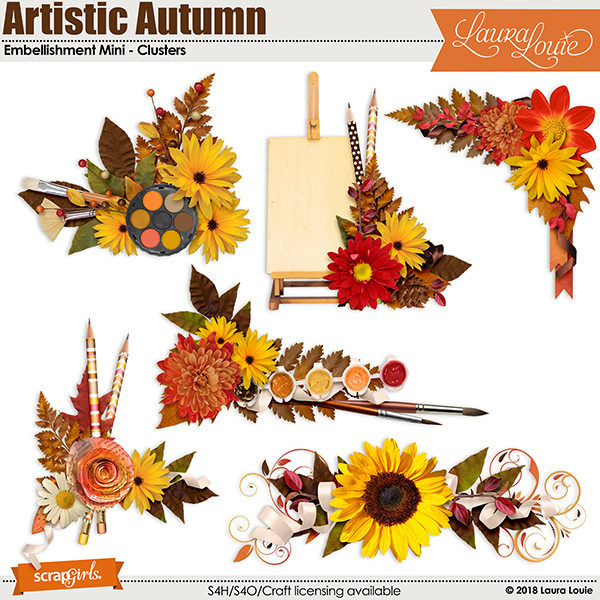 Three sheets of embellishments (72 elements) that include chalk, paints, paintbrushes, pencils, flowers, leaves and more! 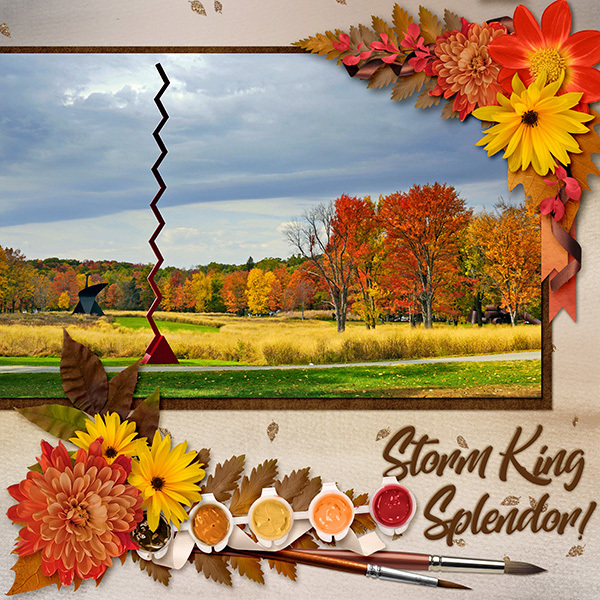 Let the brisk winds of autumn blow some inspiration to you inner artist! 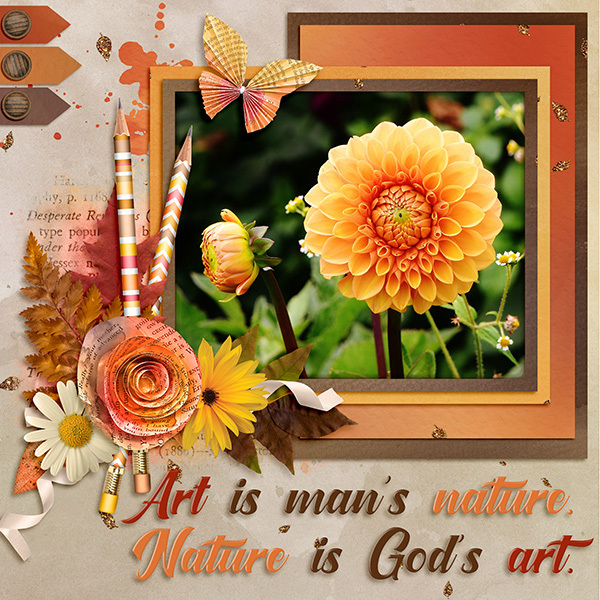 The Artistic Autumn Collection Biggie offers a wide variety of art supplies and fall-themed embellishments for preserving your special memories! 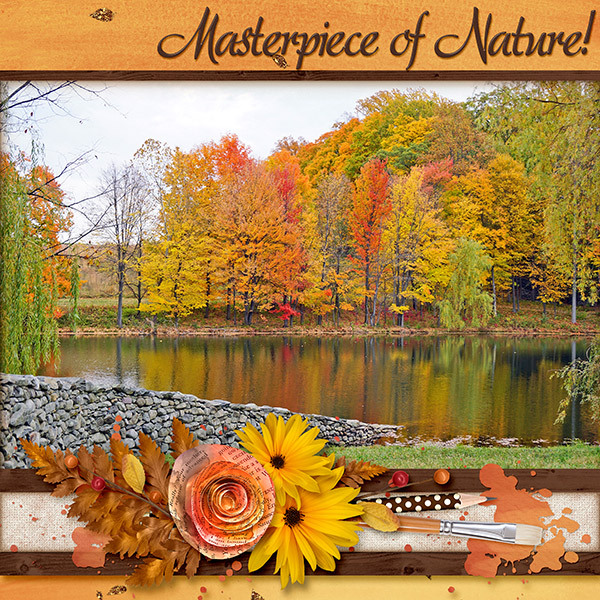 Create artistic autumn layouts quickly with the Artistic Autumn JIF Plus! 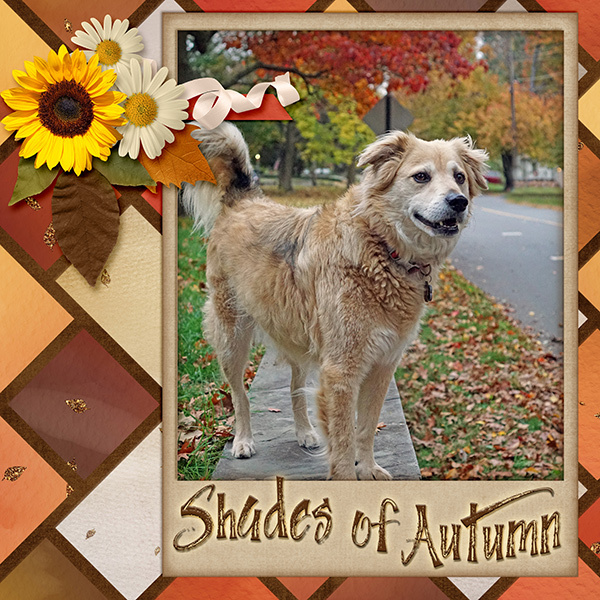 Quickly and easily embellish your next artisticly autumn layout with the Artistic Autumn Embellishment Mini Borders! Choose your favorite photo and add a touch of dimension with an embellished border! The Book Club digital scrapbooking collection is all about one of our all-time favorite pastimes...reading! 10 winter quotes and sayings, designed to coordinate with the 'Winter Solstice' digital scrapbooking collection by On A Whimsical Adventure. A Bygone Era Clusters by Aimee Harrison are PU/S2H/S4O friendly.